Peacock Window & Door Service is a full service window & door company that cares about your business. We offer everything from window & door repairs to window and door replacements. Being a family owned & operated business we take pride in what we do and stand behind the products & services we provide. After all, our family name is our company name. Located just west of London in Dutton, Ontario, we provide our services to the greater southwestern Ontario market area. At Peacock Window & Door Service we are expert in window & doors. In repairing them and installing them. 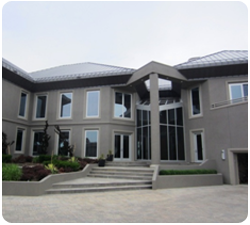 We do not do siding, roofs or eaves troughs; just windows and doors. With over 62 combined years of experience in the window & door industry we are confident we can help you with your window & door needs in a polite professional manner.